With the summer weather in Vancouver, patios full of happy people sipping on cocktails, this was the perfect time for Mott’s Clamato to host its Caesars recipe book event! Launched by the Caesar Mixing Officer & Brand Ambassador, Clint Pattemore, Caesars: The Essential Guide to Your Favourite Cocktail contains more than 50 Caesar drink recipes, along with food recipes by chefs Connie DeSousa and John Jackson of Charcut Roast House (Calgary). 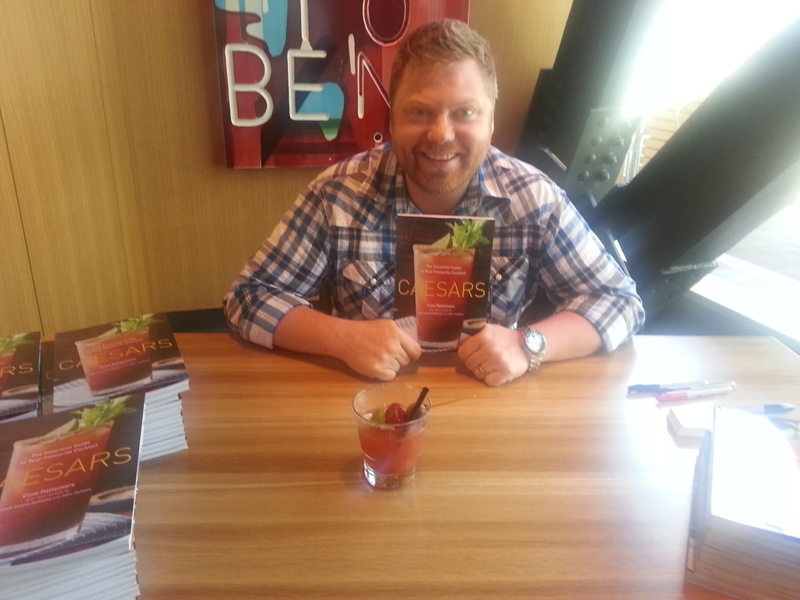 Clint was greeting and signing books at a special party hosted by Cactus Club Coal Harbour last night sharing two of his signature Caesar mixes with guests while complemented with Cactus Club appetizers. I had a chance to chat with Clint, and his quote of the evening I really enjoyed was, “There are two kinds of people in this world – those that love Caesars and those that don’t know they love Caesars!” I may not be a huge Caesar fan, as I prefer a good old fashion gin and tonic, however, the two Caesars that were made last night were delicious! See below for the recipes, also available in the book. For those fans who love a great Caesar, go get the book – it highlights Caesar recipes, sectioned by the 4 seasons, and followed by delicious food recipes. 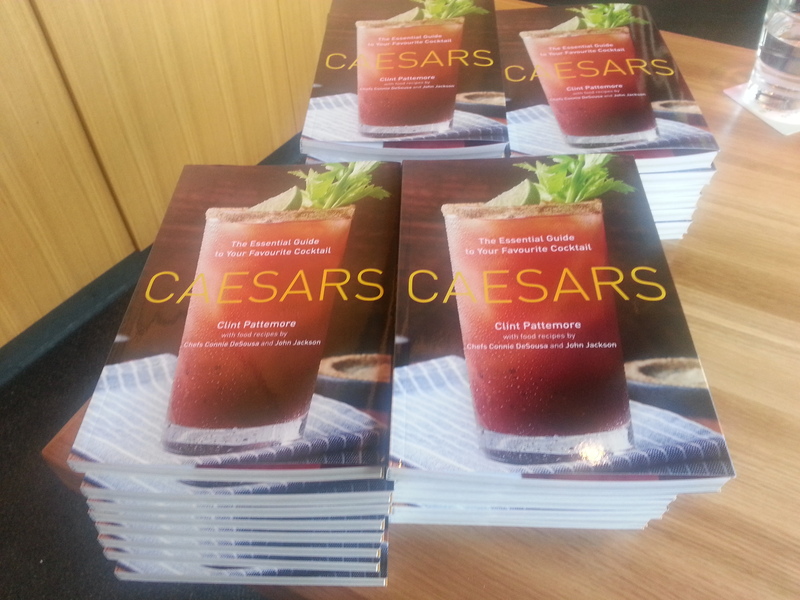 You can follow Clint on Twitter as he travels throughout Canada promoting this Canadian cocktail’s recipe book @CaesarClint. Stir well to mix the cocktail and garnish.